Except for a rather abrupt end, this is a superb book from a writer whose work continues to surprise me. 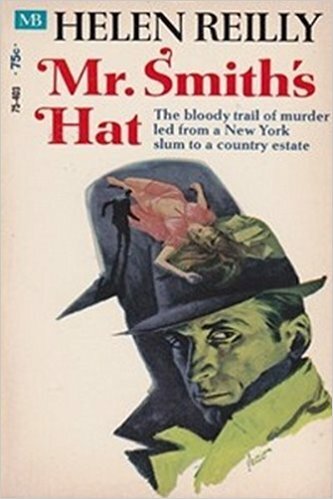 It is also the sort of book that could teach modern day writers who specialize in serial killer tomes, a thing or two or three. Can you imagine a serial killer book that doesn't relish violence? A book with no eviscerated corpses lying in their own gore, no disgusting visuals or sick humor - yet still a book which draws you in, captures you, frightens, thrills and gives you the absolute creeps? This is the brilliance of HIDE MY EYES. 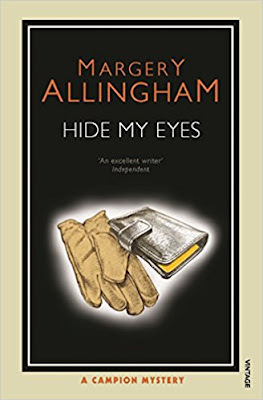 I was never a fan of Margery Allingham's work until very recently and I still cannot stomach Lugg and too much of Albert Campion is quite enough, if you know what I mean. But Allingham seems to have written several books in which Campion either doesn't appear or if he does, he's practically missing in action or lost his memory, i.e. 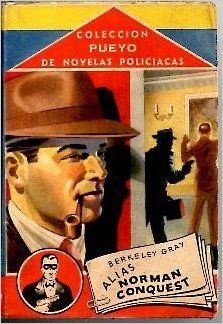 TRAITOR'S PURSE which is my second favorite Allingham book so far. I tread timidly through the stacks of her titles and I'm happy to say, except for a dud or two, I have been rewarded for my timidity. At this point, though, nothing I've read of hers, touches HIDE MY EYES. And yet, here is a book which almost flaunts the sorts of things I generally avoid. 2) Multiple points of view including the killer's. (Geez, does this have to be done well to keep me reading. Because, you know, I generally DO NOT CARE what a killer's thoughts are.) The trick here is that we are privy to the killer's interactions, more than his thoughts. He is a sociopath who marches to the tune of his own drummer, a cold-blooded creature masquerading as normal. 3) We know who the killer is almost from the very beginning. This, somehow, and unlikely as it sounds, just adds to the suspense of it all. It's a fascinating drip, drip, drip effect. 4) No hero to speak of. 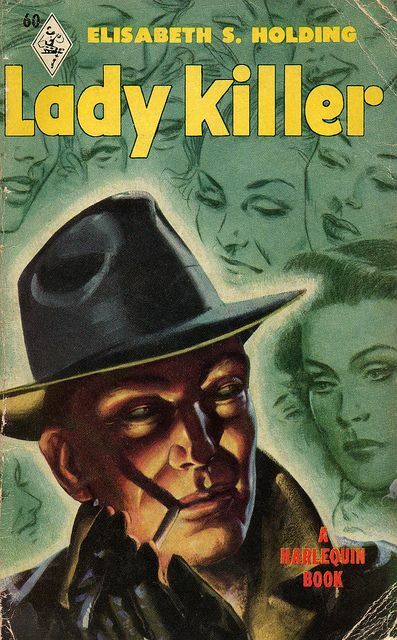 Even the young romantic pair, a naive young girl and an inquisitive red haired chap of the type Golden Age writers created routinely to fill out the ranks, do nothing much to catch the killer (yeah, there's a bit of a slug fest at the end, but even that is anti-climactic). 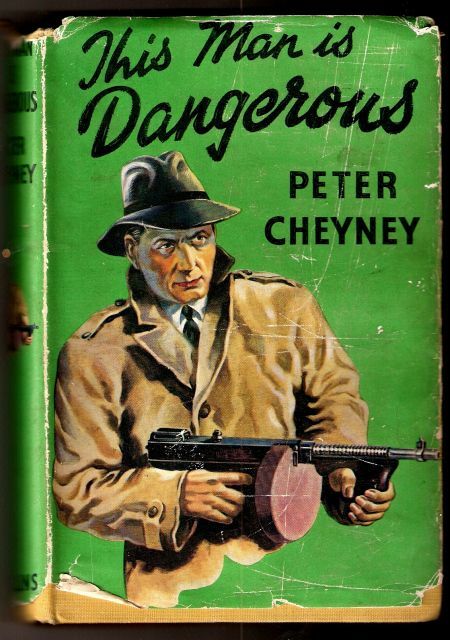 In fact, the young man never actually catches on to what's REALLY going on at all - he even hands the killer back his gun (!?). With all this you'd think, well how good can the book be? I mean, look at that list. Why does it work so very well? 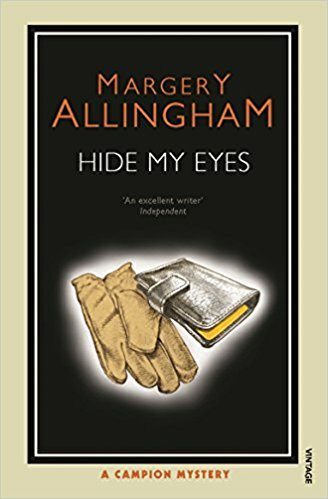 Maybe it's because Allingham outdoes herself in plotting the thing - the book flows almost effortlessly from first page to last. Couple that with her natural ability to set a dark and ominous stage and you get one of the best books of this type I guarantee you will ever read. It begins on a dark and stormy night in London, the kind of night tailor made for murderous doings.A smallish old fashioned country bus in which two elderly riders sitting side by side can be seen, slows to a stop in an alley. The bus driver steps out into the night. The couple sits, possibly asleep, while a murderer goes about his stealthy business. "He looked thirty or a very years older and his face still possessed some of the secrecy of youth. He was good looking in a conventional way, his features regular and his round eyes set wide apart. Only the heavy muscles at the corners of his jaw, and the unusual thickness of his neck, were not in the accepted fashionable picture. The most outstanding thing about him was an impression of urgency that was apparent in every line of his body, a strain and a determination like a climber's nearing a peak." Later we visit nearby Garden Green in daylight, it is one of those quietly run down London enclaves, in this instance, the setting for a small, private museum full of bizarre artifacts. The museum, which is attached to a house, is kept up by a nice gray-haired old lady named Margaret (Polly) Tassie. She does this as a tribute, in memory of her beloved late husband's eccentric collecting tastes. Into this little house comes Annabelle Tassie, a lovely, young, country-bred thing who has been sent - in lieu of a married older sister - to stay with this distant relative in London. Mrs. Tassie is trying, in her own round-about way, to mend fences after a long ago family breach. At Annabelle's request, Richard Waterfield, a family friend of Annabelle's, will be around to keep an eye on her should the need arise. He hasn't seen Annabelle in two years, but is not surprised when she writes to him - he is, however, surprised by how lovely the girl he knew as a teenager has become. Isn't that always the way? Mrs. Tassie and her late husband Freddy never had children, but they did befriend an engaging young man whom they doted on as the years went by. Older now, he is still in the picture and shows up now and then behaving almost as a de facto son. Mrs. Tassie regards him with an indulgent eye. She wants to believe the best of everyone. 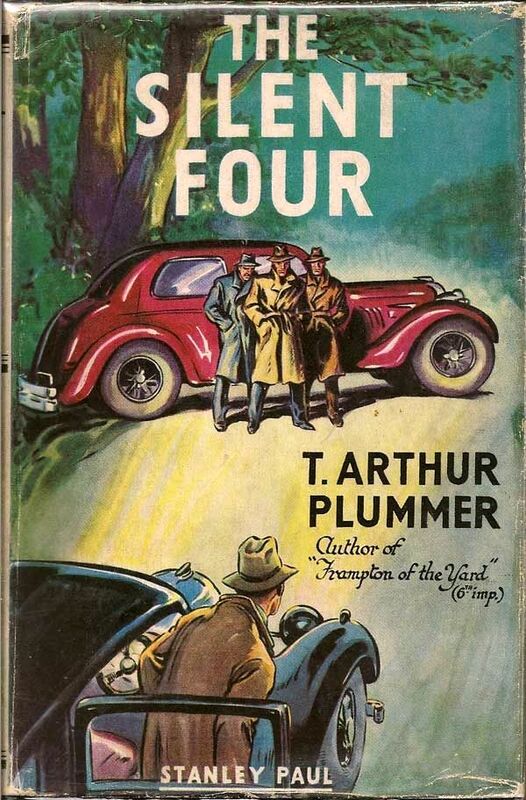 As I mentioned, this is one of the books in which Albert Campion makes very little impact since he is hardly on the scene at all and that's just as well. Mostly it's the physically imposing C.I.D. Superintendent Charlie Luke's investigation and he sets the ball rolling by calling in Campion for a chat. 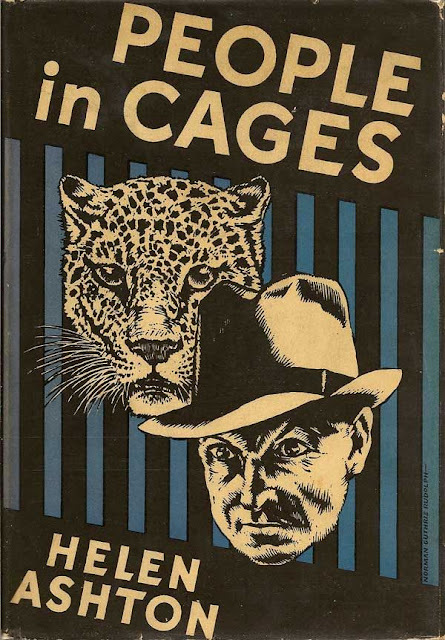 "It was one of Charlie Luke's more engaging peculiarities that he amplified all his stories with a remarkable pantomimic sideshow which he gave all the time he was talking. He drew diagrams in the air with his long hands and made portraits of his characters with his own face." Luke has a hunch about a murder. Though Campion isn't much taken with said hunch, despite Luke's explanations and digressions, he will get drawn into the mystery once a fortuitously placed phone call arrives. There are several murders to link and a crafty killer operating with impunity to catch, and along the way, some sympathetic characters whom the killer may or may not harm as we suffer impotently wondering if, how, why and/or when. Midway through, there is one unsettling chapter in which Richard Waterfield, on a hunch of his own, shows up in the dark of night at a large, shadow-filled junk yard (I forget what they're called in England) blindly finding his way through a large maze of intimidating mounds of debris and ominous salvage. Not knowing what might be lurking in the shadows, he comes upon a tumble down brick shack with a sinister interior. Atmosphere. Atmosphere. This books drips with atmospherics. The tension builds from a whole host of seemingly ill-assorted events, all moving, bit by bit, towards a final denouement. Too much tension for me. I had to stop now and then and take anxiety breaks. The clues mount up and the dots are connected, but there is still no apparent proof - the careful killer remains elusive. In the end, it is not really police work, except in a roundabout way, that precipitates a climax, it is the killer's own personality. The ending, as I mentioned, is somewhat abrupt, but other than that, this is the sort of book you really do not want to miss if you are at all in the mood for a suspenseful thriller written by an expert. If so, drop everything and move this one to the top of your TBR pile. 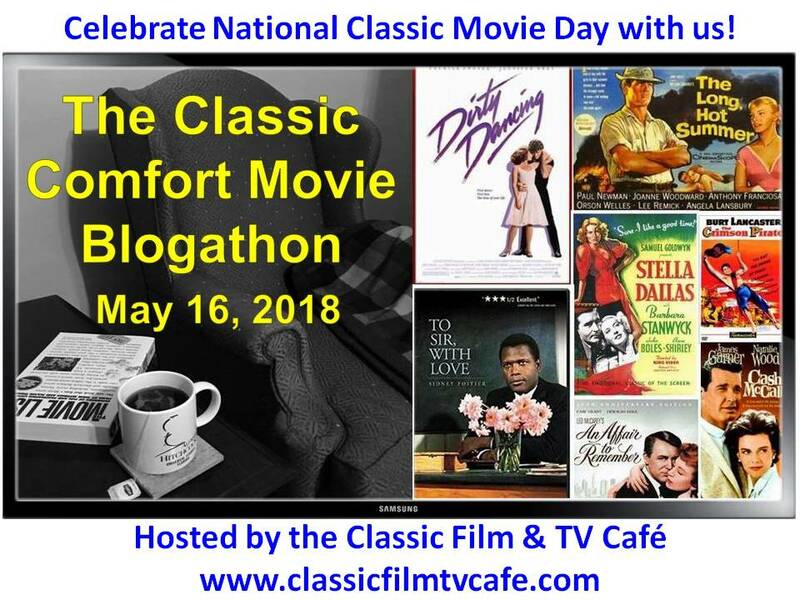 Author Patricia Abbott, our regular Friday host is taking a break, so Todd Mason will be handling hosting duties this week at his blog, Sweet Freedom. 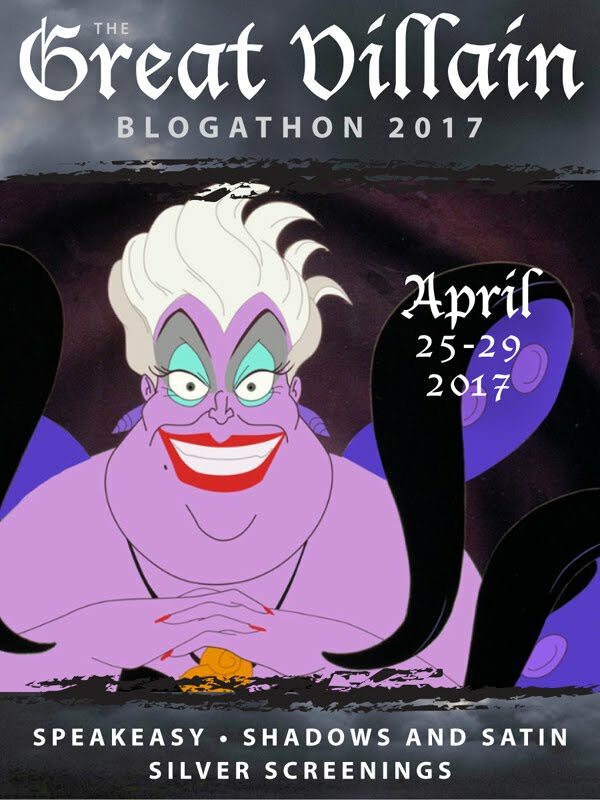 Don't forget to check in to see what other forgotten or overlooked books other bloggers are talking about today. 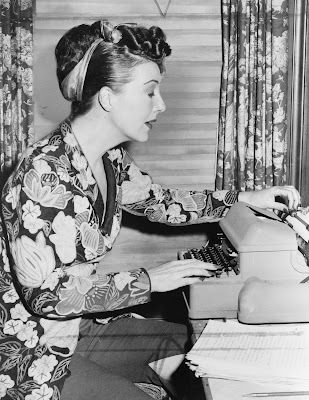 Yes, THAT Gypsy Rose Lee - although some say it was actually Craig Rice who did the writing. At this point, I suppose it doesn't matter much one way or the other but for fun's sake, I'd like to believe it was Gypsy at the helm. In truth, I don't see why it couldn't have been, with maybe a little nip and tuck from her friend Georgiana Ann Randolph Craig aka Craig Rice. * See J.F. Norris's (PRETTY SINISTER BOOKS) comment/correction below stating that Rice herself denied she'd written the books. So that takes care of that. Regardless, this is a nicely done, amusingly refined mystery set in - among other nearby places of low repute - a Texas trailer park where everyone does a whole helluva lot of drinking and smoking but very little 'carrying on.' In truth this is a pretty sanitized version of the life we like to imagine goes on in such tawdry places. (Naughty us.) Even the burlesque scenario is pretty much cleansed of any offending adjectives or adverbs. Just a nice story of murder and mayhem among the denizens of a trailer park, a few of whom earn their living doing the hoochy-koochy in a g-string, accompanied here and there by ancient jokes and capacious quantities of liquor. 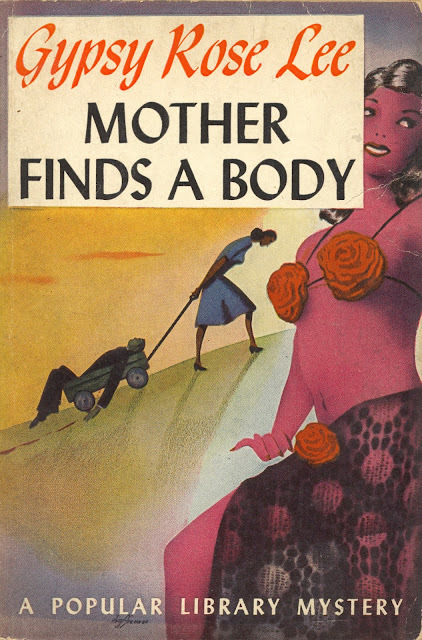 Lee wrote two books: THE G-STRING MURDERS and MOTHER FINDS A BODY. 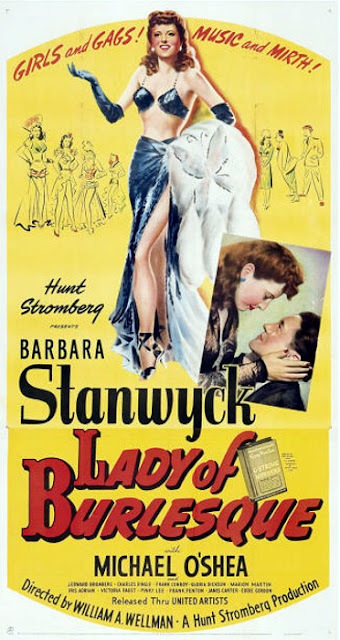 G-STRING was turned into the not entirely memorable Barbara Stanwyck film directed by William Wellman, LADY OF BURLESQUE. I mean, the film's okay, it's just not quite as much fun as it should have been - possibly because when you think of strip tease queens, you don't automatically think of Stanwyck. And Michael O'Shea is not my idea of a romantic leading man though he makes for an okay burlesque clown. At any rate, I was lucky enough to find my particular copy of MOTHER FINDS A BODY on eBay. It came in a cache of other Rice mysteries which included HOME SWEET HOMICIDE, THE CORPSE STEPS OUT and a couple of others. Four bucks - can't beat that. I had no clue, by the way, that Rice was rumored to have written the Lee book, but was happy enough just the same, to receive my treasures. Gypsy plays herself in the book. She's on her honeymoon after a quicky marriage aboard a romantic water taxi, to Biff Brannigan burlesque clown, currently unemployed. Also along on the honeymoon are Gypsy's Mama and a host of other hangers on tucked together inside a trailer heading east. Makes for a cozy but not very private sort of honeymoon. Especially when you add dogs, a monkey, a guinea pig and a dead body in the bathtub. "A temperature of one hundred and ten, at night, isn't exactly the climate for asthma or murder, and Mother was suffering from a chronic case of both. She pushed the damp tight curls off her forehead and taper her foot impatiently on the trailer doorstep. "You either bury that body in the woods tonight or you finish your honeymoon without your mother." Mother is the sort of person who can be very tiresome on a honeymoon. When she's not behaving suspiciously, over-seeing Gypsy's life, having an asthma attack (sometimes accidentally on purpose) and/or mouthing off, she's insinuating herself into the middle of the mystery and using her charm and good looks (yeah, she's not a spring chicken, but she's still got the looks) to her advantage, regardless of the often scatter-brained circumstances. Like, for instance, when she sets the woods on fire. But I'm getting ahead of myself as usual. 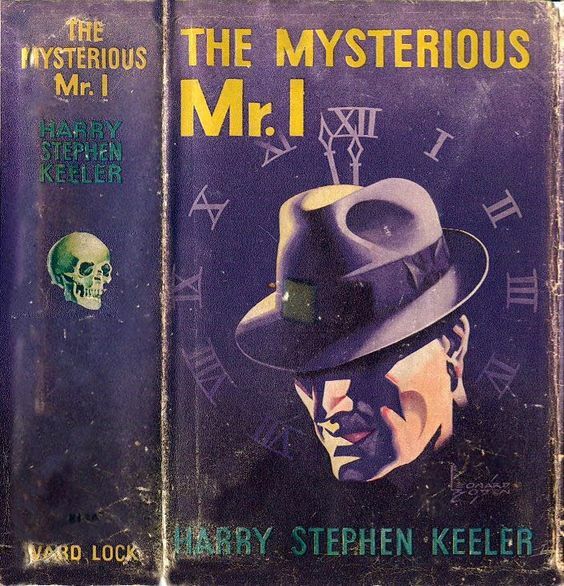 The mystery's storybook setting is a lovely honeymoon encampment on the outskirts of Ysleta, Texas, a backwater town full of sleazy dives and somewhat sleazier people. Though the local sheriff isn't a bad sort - he has a friendly eye on Mother's charms. And nearby is a dark wood full of trees and hiding places - handy for disposing of an inconvenient body. There's lots of dashing about and finger pointing and catching up on old gossip when another one or two burlesque types turn up in a dive in town. 'Biff had always been the Casanova of burlesque. I took that into consideration when I married him, and we were usually running into his ex-flames. But I never expected to find one under a piece of cheesecloth in Ysleta, Texas! Biff stared at the dancer with his mouth half open. Then he grinned at her, finally at me. "It's a small world, ain't it?" he asked when she tossed her brassiere on the piano. The aforementioned dive is run by a little guy who has his own bizarre rules of nicety and oh by the way, there's also a doctor behaving strangely to be taken into consideration. Though beguiled by Mother, the sheriff still casts a suspicious eye on Gypsy and Biff and the motley assortment of show-folk descending on his town. Somebody is guilty of murder. "...Mamie came in. She turned down the bedcovers and began tidying up the room....."I don't know how your poor mother can stand all this," she said as she rolled up a pair of nylons. "All the drinking and swearing and excitement. No wonder she has asthma." "Well, things aren't always as upset as this," I said. "Sometimes we go for a whole week without finding one single corpse." That's before the second corpse turns up. And someone slips Mother an illegal substance in her asthma medication. But not before we're treated to Dimples, another trailer tag-along, doing her quiver routine at the local strip joint. Eventually, when the surprising identity of the killer is revealed, the extent of the author's obfuscation earns our grudging admiration. Good job. Darn good mystery. Lots of fun. And since it's Friday once again, don't forget to check in at author Patricia Abbott's blog, Pattinase, to see what other forgotten or overlooked books other bloggers will be talking about today. 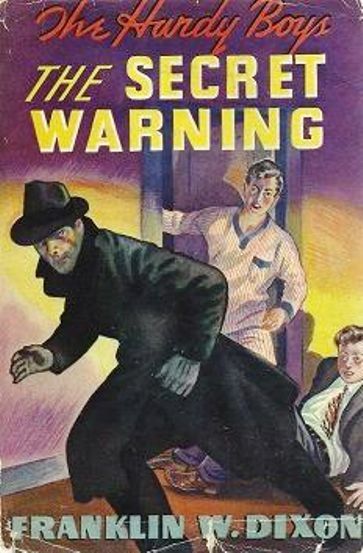 I recently re-read Phyllis Whitney's WINDOW ON THE SQUARE (reviewed by yours truly upon my last re-read in 2011) and reminded myself yet again how much I enjoy these sorts of semi-gothic romantic suspense stories (without gore) that were prevalent in the 50's and 60's and even into the 70's. I once read them by the bucketful. Hopefully the bug hasn't bitten me again, but who knows? I've always been a sucker for a certain sort of strong, dark, silent hero with problems, at least in books - if the guy broods, even better. It all began with JANE EYRE's Mr. Rochester - I guess I imprinted on him when I was young and impressionable. Give me a house full of troubled inhabitants, a brooding hero (see above), a young woman fleeing her own troubled past, evil lurking in the shadows and now and then, an immoral woman bent on destruction and I'm there. 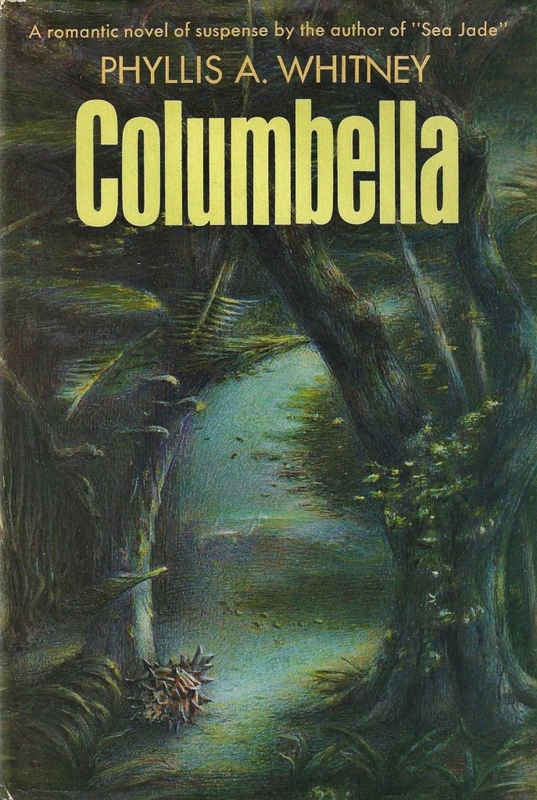 COLUMBELLA was another Whitney favorite of mine and since Kindle had it on sale one day, I succumbed. The story is set on St. Thomas in the U.S. Virgin Islands. There are several properties involved since the hero is an architect, but in general the main action takes place in a house high on a hill overlooking the harbor. Beautiful sunsets, lush vegetation and windswept island breezes are all part of the scene. Not to mention a soaring hurricane near the end. But before we get there, there is trouble to be dealt with and secrets to be aired. Jessica Abbott is a former schoolteacher fleeing a troubled life stateside as the 'caretaker' daughter of a beautiful, charming, feckless and flirtatious mother (lately an invalid due to an accident) whose influence didn't do Jessica any good. In fact, there is an old story of a fiancee who was more in love with Jessica's mother than with the young woman herself and well, you know how that goes. Not that Jessica blames her mother, after all, mom didn't do anything with malice aforethought. "There was a great deal about my mother to love - her gaiety and sweetness, her interest in the problems of others that made us all open our hearts and talk to her, not realizing at first to what deadly and yet innocent use the things she learned might later be put. Even her helplessness was sometimes endearing and undisturbing as she grew older. Not that she had lost her beauty or her ability to trouble young men with longings she had no intentions of satisfying with more than kind words and a touch of the hand....Before he died, my professor father had warned me that I must look after her because she could not look after herself - she did not even know who "herself" was. I had kept my promise to him. That, at least, I had done. Upon her mother's death, Jessica 'escapes' to St. Thomas for solitude and official licking of wounds. While there she is importuned by Maud Hampden, a matriarch friend of her aunt's to come stay at Hampden House and serve as a kind of buffer between 14 year old Leila Drew and her mother, Catherine. There is very real harm being done to Leila - an impressionable young girl - by a selfish mother who is first, last and foremost only interested in her own pleasures. In fact, the woman is mentally unbalanced, but you know how these wealthy old families are about this sort of thing. To get her out from under Catherine's unsavory influence, Leila is on the verge of being sent off to boarding school in Denver (oh my God, Denver!) by her father Kingdon Drew who grew up in Colorado. King is a brooding (uh-oh), silent man worried for his daughter and fed up with his beautiful wife's behavior - in fact, though staying at Hampden House, the two have been living separate lives for years. Why a grown man would put up with a wife's improprieties to this extent isn't really made clear, but for the sake of the story we must accept that he feels trapped because of his daughter's blind allegiance to her mother. Naturally Jessica sees the traps inherent for her in this familiar situation. Though her own mother wasn't evil, it doesn't take long for her (or the reader) to realize that Catherine is hellbent on destroying her husband through the determined undermining of his relationship with a daughter whom she actually cares nothing about. Tearing around the islands with a younger man in tow, Catherine does everything she can to inflame and infuriate her family which includes not only her mother and estranged husband, but also a drab sister and her shell collector husband, an enigmatic man who has his own secrets to keep. In the meantime, Jessica tries to befriend young Leila with varying results. At first convinced she can do little, she comes to the realization that Leila must somehow be saved from her cruel mother. Up until Jessica's arrival, basically just lots of hand-wringing going on. But there is a great deal of ugliness lurking at Hampden House and when things come to a head, there is also murder to contend with. And last but certainly not least is a powerful hurricane which strikes the islands at just the right time. Well, you kind of knew that a story set in the Caribbean needed a hurricane to put things right. If you like this sort of thing (as I, occasionally, do), you'll enjoy COLUMBELLA. Phyllis Whitney had the knack for telling an involved romantic tale filled with suspense and engaging people. Though in this particular tale, the characters are not all that likable, the story still works particularly because of the sense of lurking evil (with even a small touch of voodoo) and the lush setting. Whitney was always wonderfully right in her settings and also in all the ways she worked to come up with troubled heroines and strong, stalwart heroes. And in addition, I learned quite a bit about the Virgin Islands, certainly more than I'd known though I visited St. Croix once many years ago, probably around the time this book was written. It's Friday and yet again I'm running very late with my post. Apologies. Don't forget to check in at author Patricia Abbott's blog, Pattinase, to see what other forgotten or overlooked books other bloggers are talking about today. Patti has all the links. 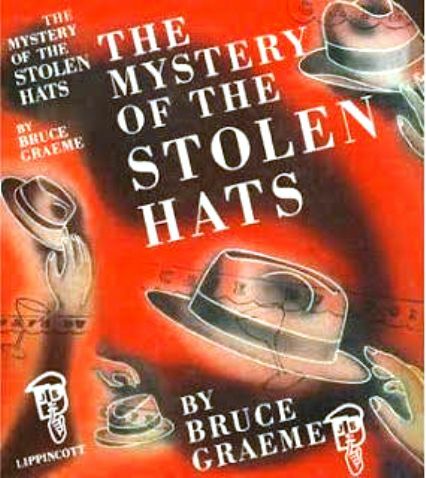 Yeah, I know, heroes wore the hats as well. But 'Hoods in Hats' sounds better as a title. Ha. Also I am obviously going for a specific sort of hat - variations on a fedora. Wish I could find out who the illustrators were, but to no avail. 1) FROM LONDON FAR by Michael Innes. 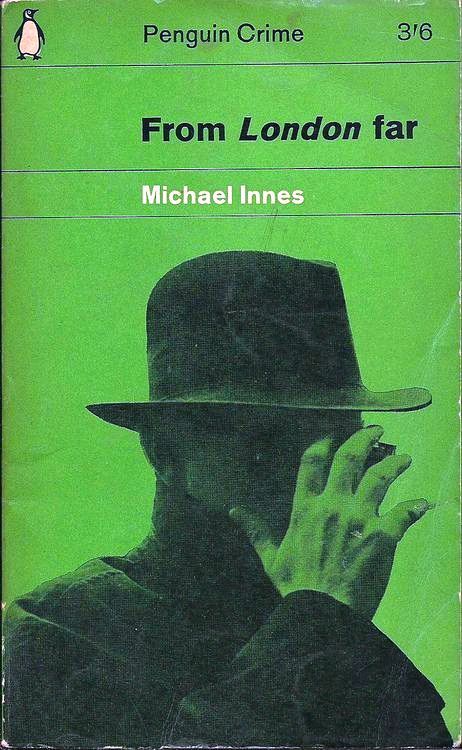 This is an even more fantastical satire than normal (for Innes). 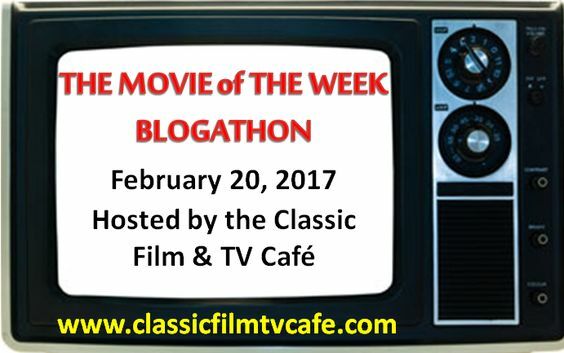 It's all about an innocent professor who stumbles into the middle of an evil genius' preposterous plot and we get to go along for the ride. I LOVED it. 2) THE SILENT SPEAKER by Rex Stout. 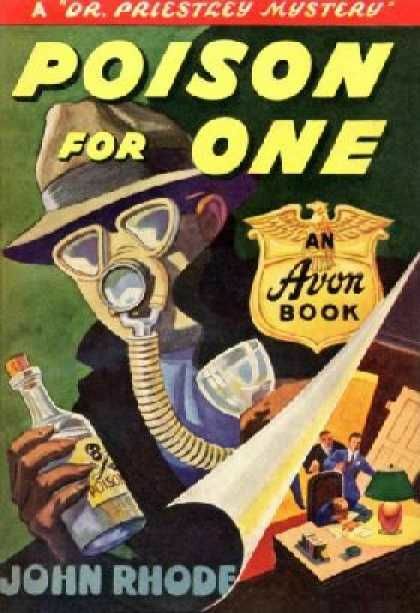 My second favorite Nero Wolfe book so that says it all. A room full of industry people at the Waldorf Astoria wait for a speech that will never be given. The main speaker has been murdered while preparing his notes but nobody sees or hears anything. 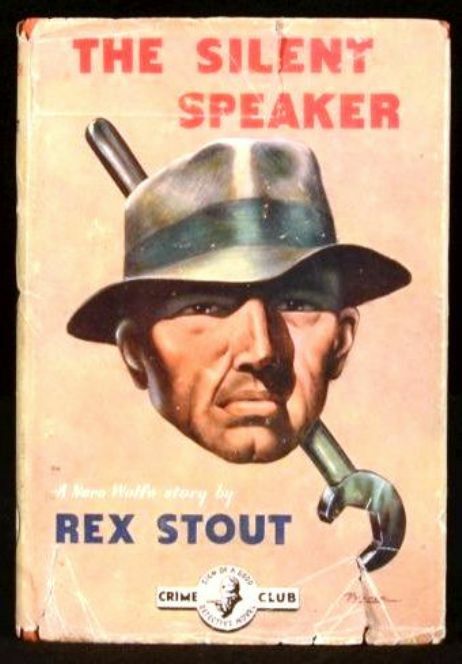 A brilliant book in which Stout's use of characterization is vital to the outcome. 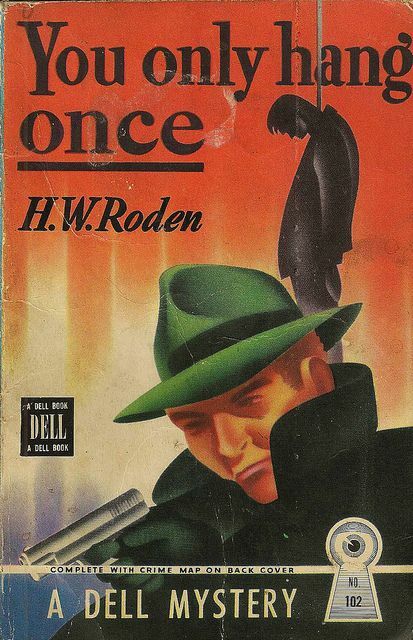 Some of us may remember the Saturday Serials of long ago when both the hero and the hoods kept their hats on NO MATTER WHAT. Even while in the midst of rock'em-sock'em fights, the hats stayed put. And EVERYONE (well, the men) wore suits - ALL the time. Even the bad guys seemed to follow certain fashion parameters which no one dared break. I often wondered too how all those dark suits never had got any lint or threads or dandruff or anything stuck to 'em. Even while fighting atop a moving train (which was a favorite) the suits stayed sartorially perfect. Or at least, that's how I remember 'em. Since it's Friday, don't forget to check in at author Patricia Abbott's blog, Pattinase, to see what other forgotten or overlooked books other bloggers are talking about today.